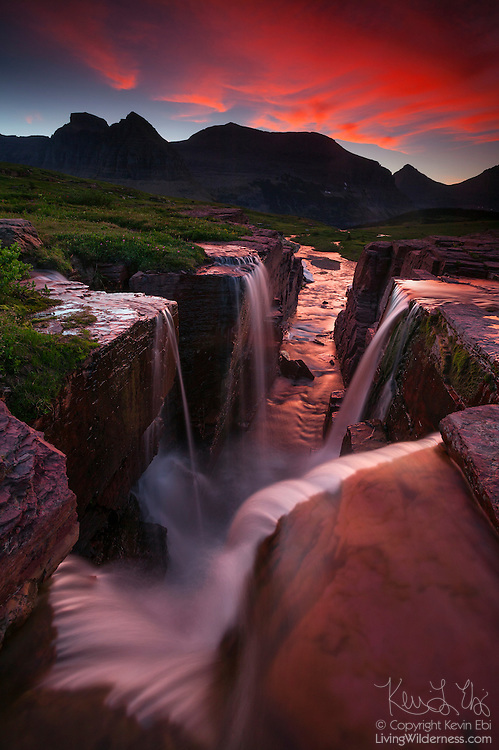 Several small waterfalls combine not far from the Continental Divide near Logan Pass in Glacier National Park, Montana. Several peaks, including Mount Gould and Mount Siyeh, are visible in the background. Copyright 2006 Kevin Ebi/LivingWilderness.com. All rights reserved.